Moffatt Oxenbould’s much-loved production of Puccini’s opera will return to the stage for OA’s first multi-city international tour in October. 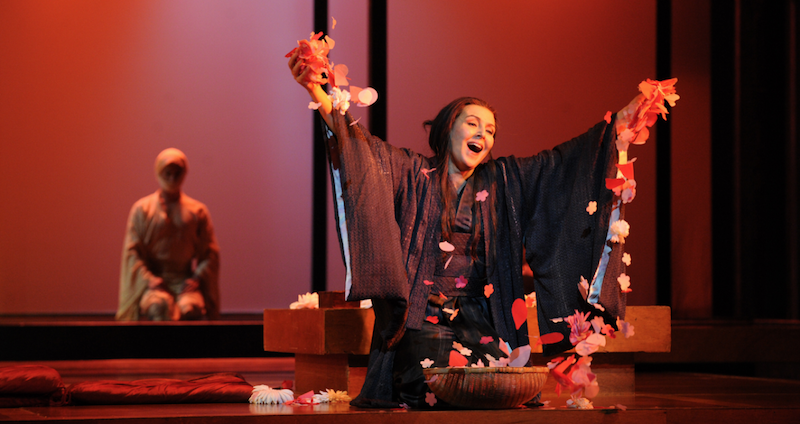 Moffatt Oxenbould’s production of Puccini’s opera Madama Butterfly will return to the stage for Opera Australia’s first multi-city international tour to China in October. In partnership with XDR Cultural Promotions and Poly Theatre Management Co. Ltd, the company will perform eight performances across four Chinese cities: Tianjin, Qingdao, Shenzhen and Zhuhai. Oxenbould’s production will be revived by director Andy Morton. The seasoned cast will include soprano Hyeseoung Kwon as Cio-Cio-San, also known as Madama Butterfly, mezzo Agnes Sarkis as Suzuki, and a host of other Australian talent including Paul O’Neill as Pinkerton. They will be joined by the China National Opera House Orchestra and Chorus under the baton of Muhai Tang. Ticketing information for each performance will be released by Opera Australia in the coming months. Andy Morton finds a beautiful balance between the intimate and the epic in his harbour-side Bohème. With safer, quieter equipment and a revamped orchestra pit, the Sydney Opera House’s opera theatre is due to open on New Year’s Eve after seven months of work. Let it snow on Sydney Harbour! Opera Australia is forecasting snow at La Bohème on Sydney Harbour – but director Andy Morton is flaky on details. Addressing staff, Rory Jeffes emphasises that Opera Australia has zero tolerance for bullying, discrimination or harassment. This farewell to Moffatt Oxenbould's beautiful production takes time to soar emotionally. Sydney-born Emma Dunch has been tempted back to Australia after nearly 20 years high flying in NYC. The SSO Chief Conductor and Artistic Director is to stay through 2019, and has revealed a little of his 2018 programme. Glittering, honeyed sound and impressive coherence from Verbitsky and WASO. In the Festival’s second year, highlights include performances by Hyeseoung Kwon, Sylvia Clarke and Deborah Humble.